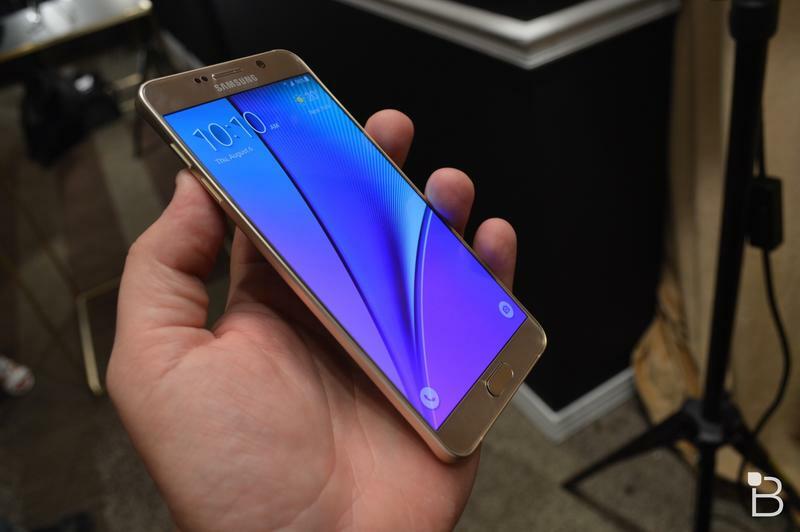 Samsung is just knockin’ em out of the park recently. 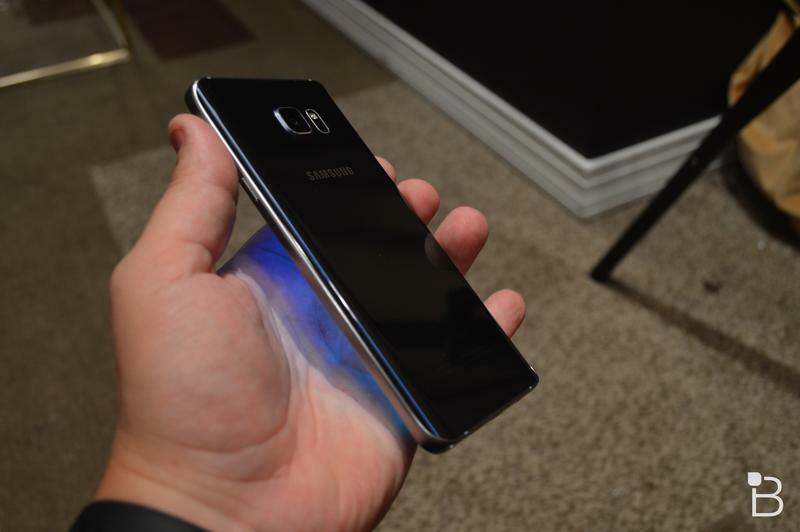 While the company may have some struggles meeting internal sales quotas, it’s certainly pumping out some awesome smartphones. 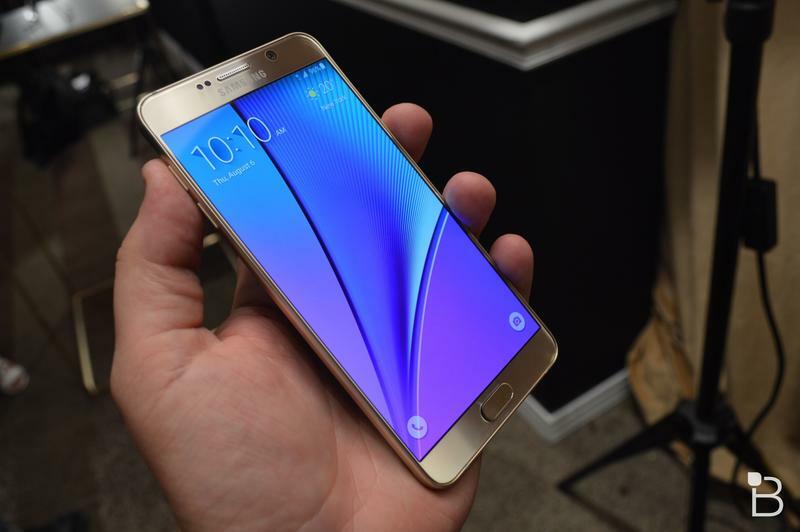 Following the launch of the Galaxy S6 Edge and Galaxy S6 earlier this year, Samsung on Thursday introduced the Galaxy Note 5 and the Galaxy S6 Edge+. 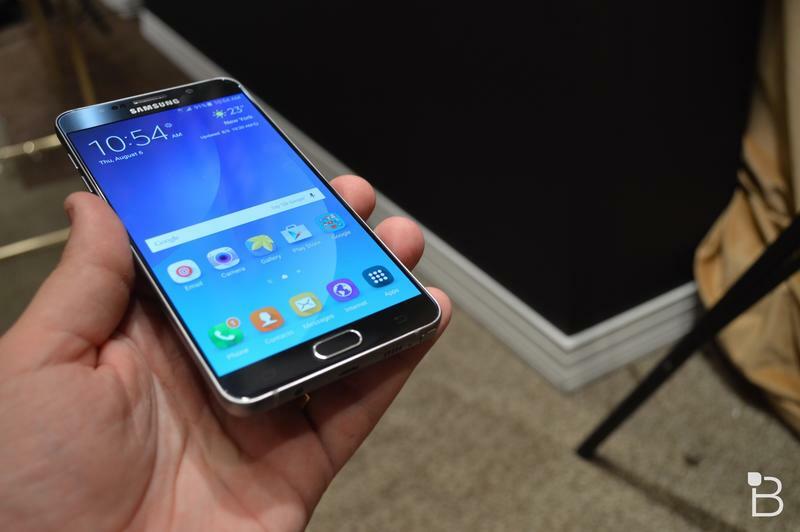 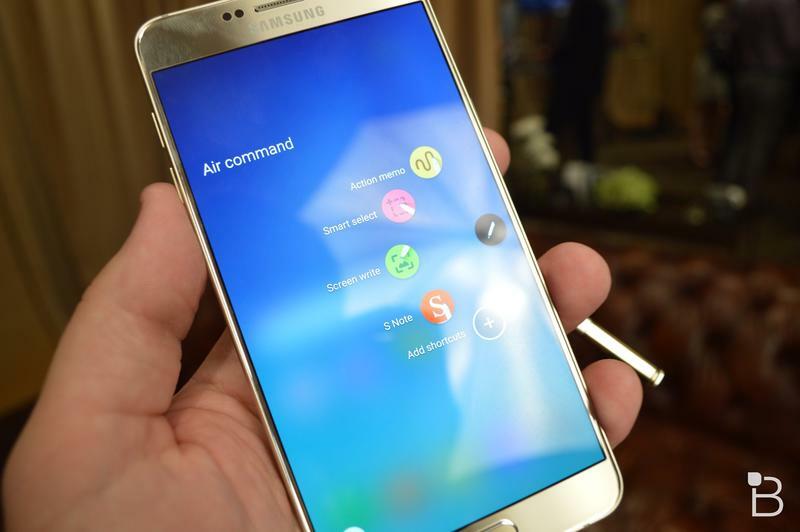 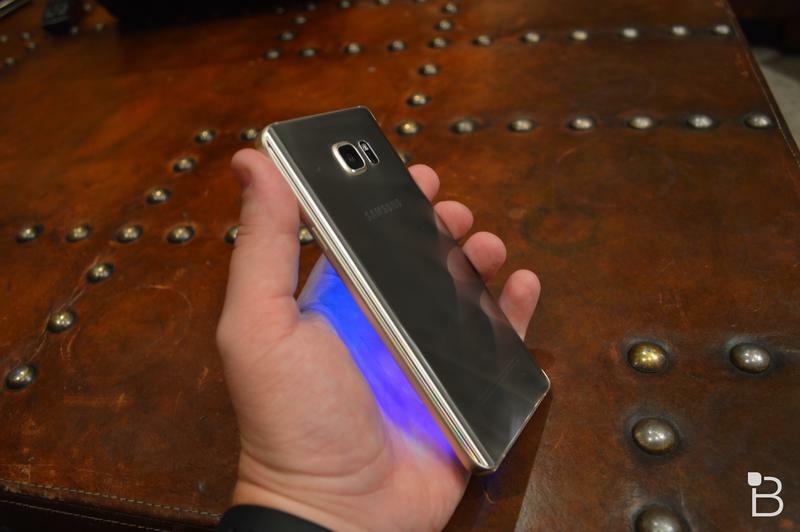 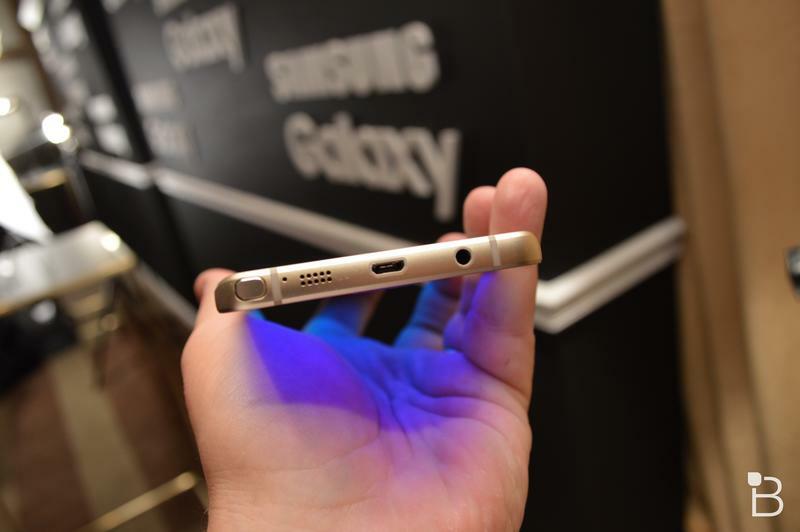 We’re here with a hands-on with the Galaxy Note 5 and… wow. 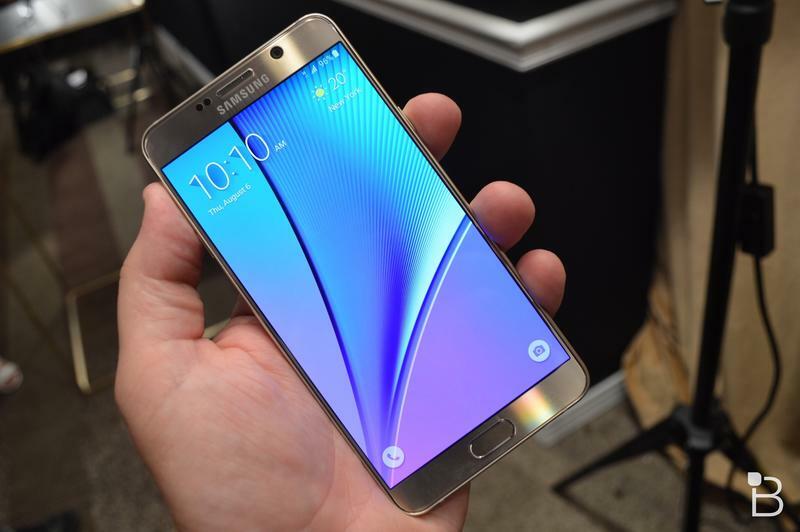 Take the already jaw-dropping design of the Galaxy S6 and toss in a larger 5.7-inch Quad HD display, jam as many high-end components into the glass and metal body as possible, put an S Pen in there and you have yourself the recipe for the amazing Galaxy Note 5. 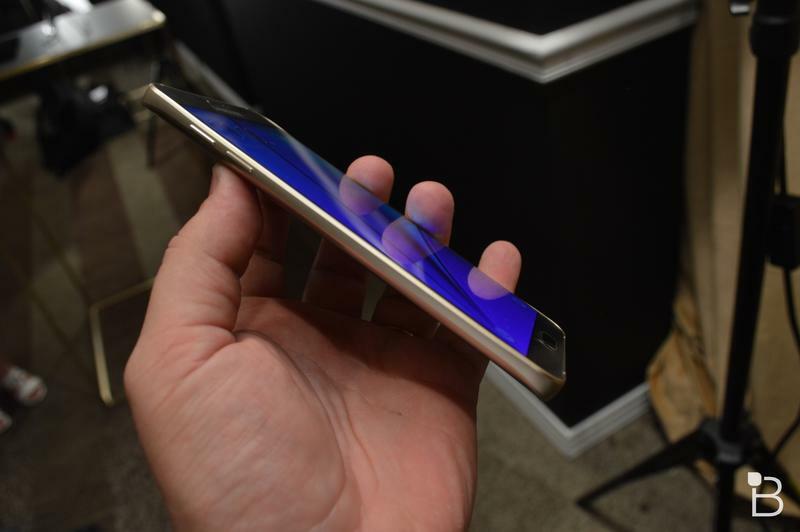 You’ll find top-notch trimmings like 4GB of RAM, an Exynos 7-series processor, PMA/Qi wireless charging, speedy wired charging, a 3,000mAh battery, a brand new S Pen, 4GB of RAM, 32GB or 64GB of storage and more. 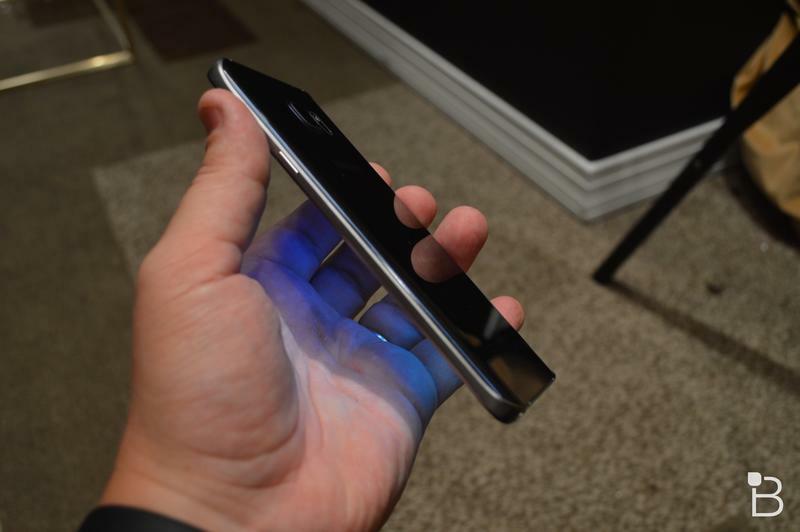 Some folks might be disappointed about the lack of a removable battery and the lack of expandable storage, I know I am, but those are the sort of trade-offs Samsung thinks are worth the much more premium glass and metal body. 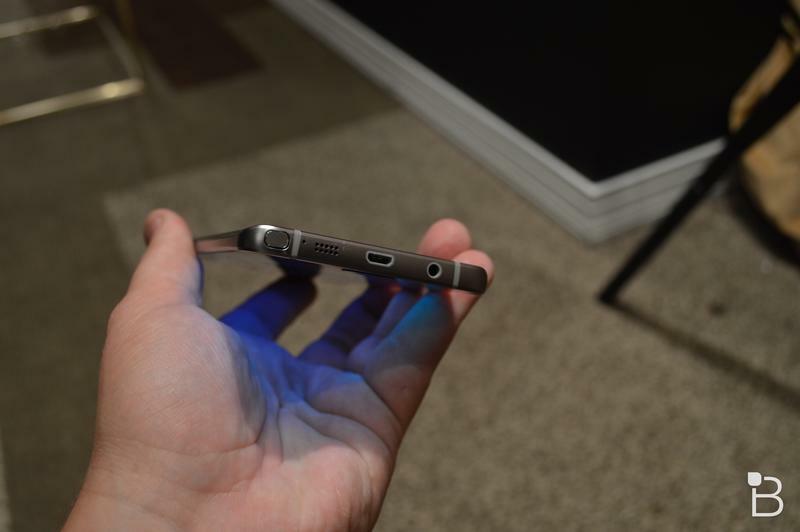 I do think Samsung should have kept a 128GB model, too, but it won’t offer that. 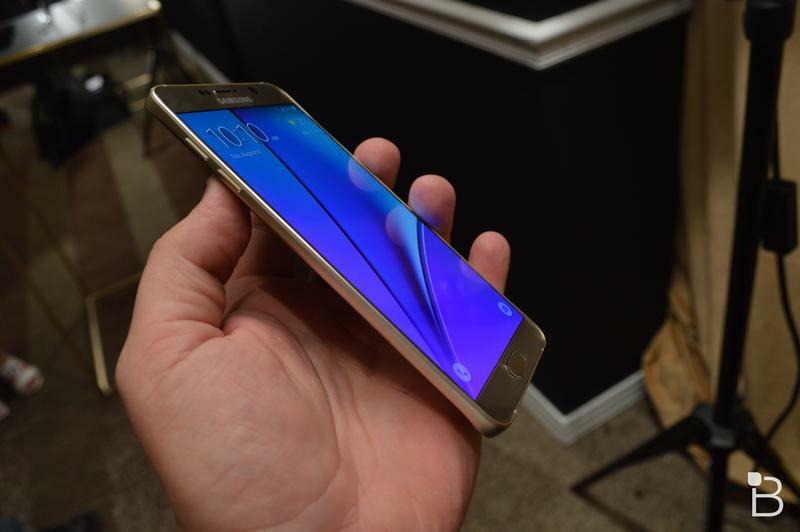 I was pretty much in love the second I touched the Galaxy Note 5. 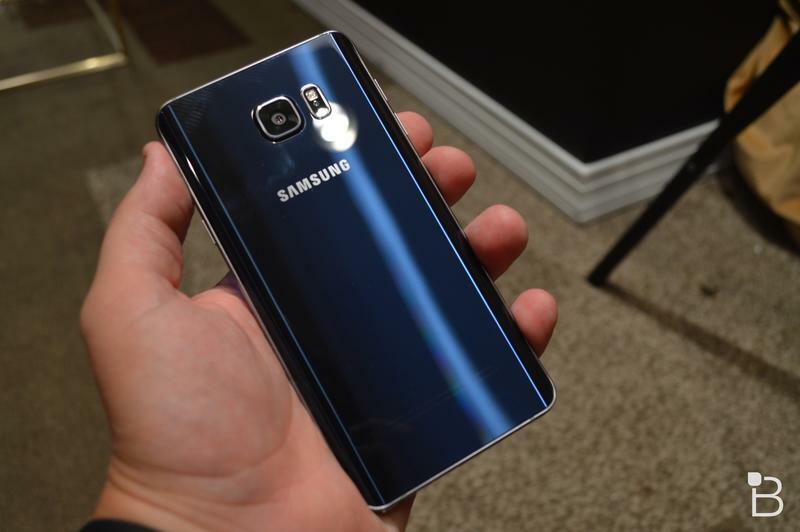 This is almost certainly going to be my next daily driver. 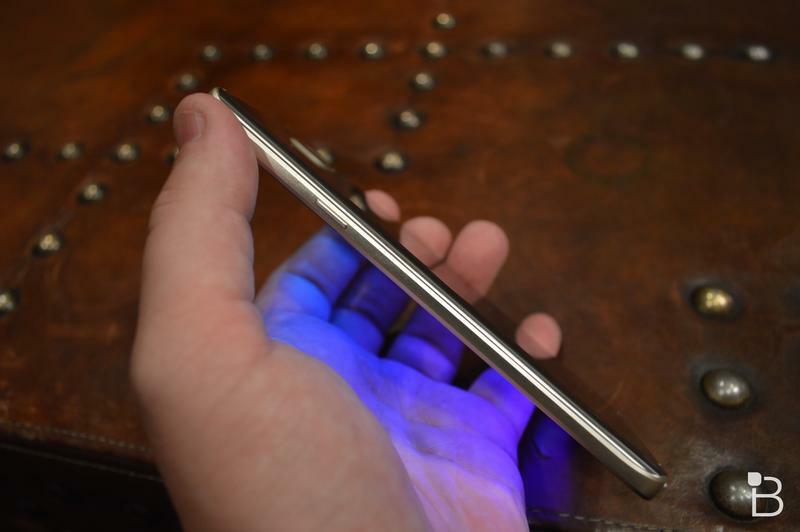 The screen pops, is super sharp with 518 pixels per inch (ppi), and I love that the new S Pen ejects with a quick push inward. 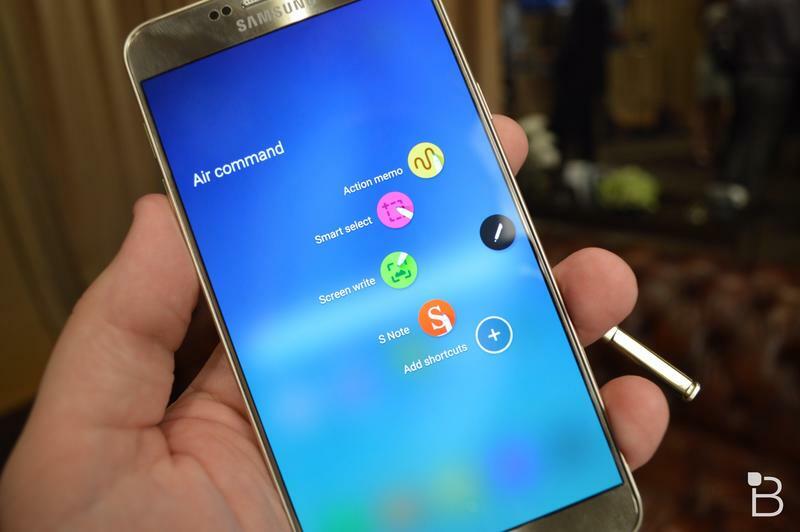 The S Pen software is much better, too, allowing you to take notes right from an idle state (just draw on the screen once the S Pen is removed), improved Air Command, the ability to capture an entire website as a screenshot, write on PDF files and more. 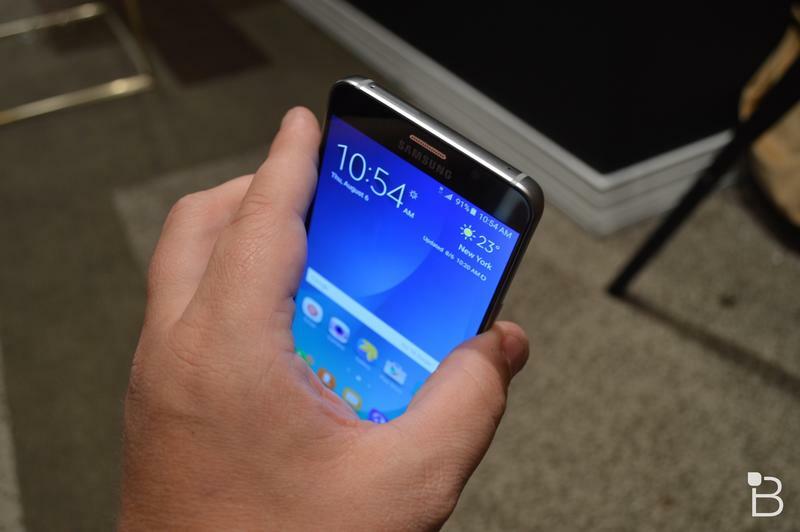 SideSync 4.0 offers improved support for managing the phone from your computer, sending/receiving texts and voice calls, and more. 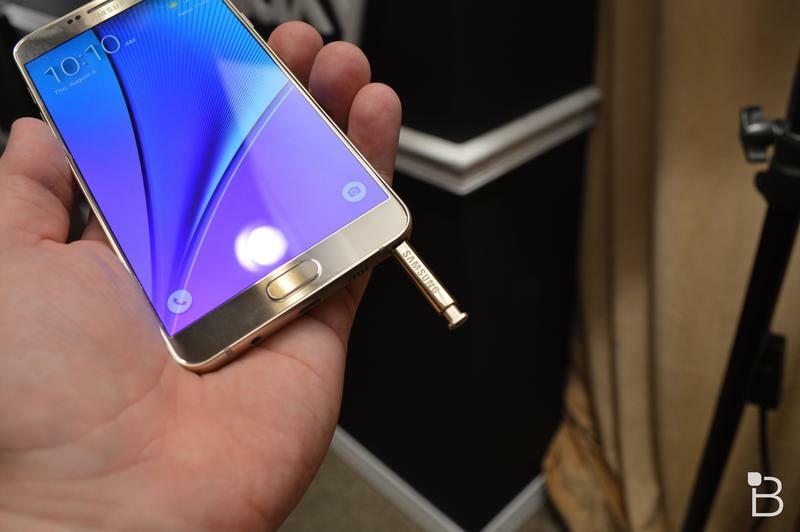 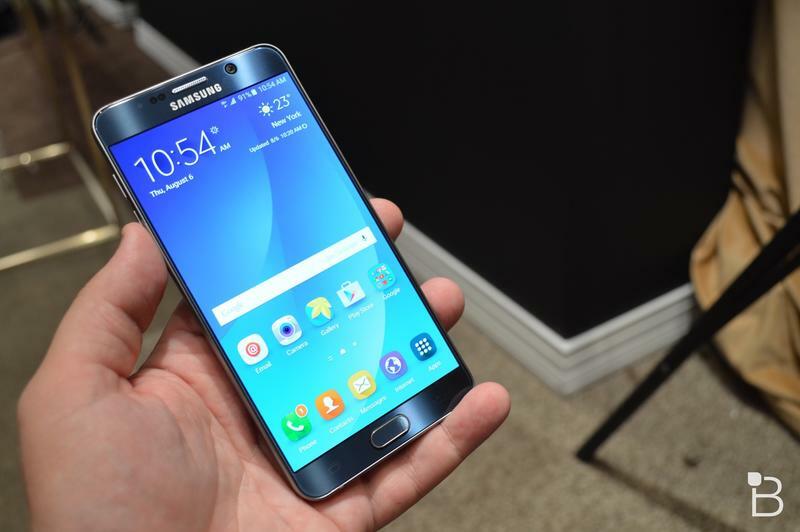 You’ll also find the Galaxy Note 5 has built-in audio upsampling for an improved music listening experience. 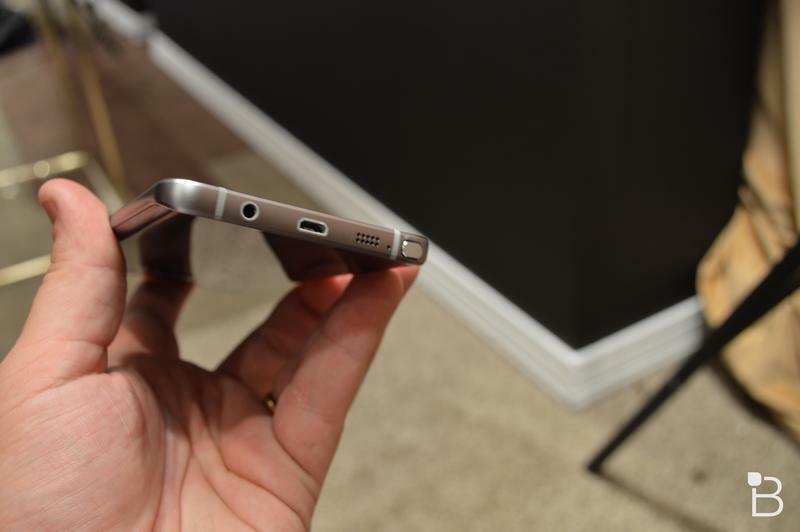 The same 16-megapixel rear camera and 5-megapixel front-facing camera that made their debut on the Galaxy S6 are included. 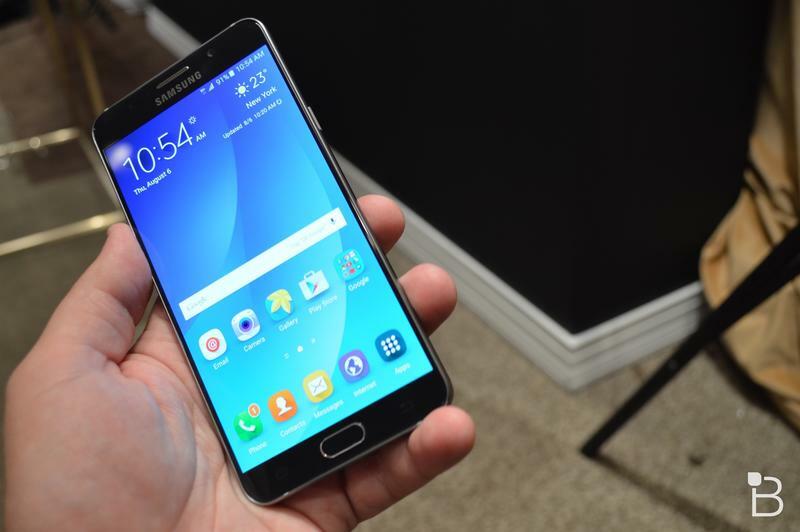 That 16-megapixel shooter is one of the best on the markets, and Samsung steps up the usability a bit with a new feature that lets you stream live directly to your YouTube channel right from the camera app. 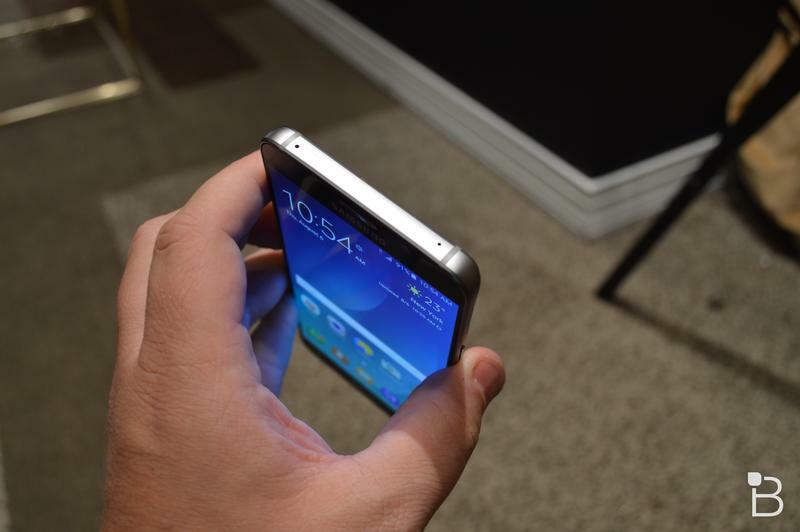 It’s pretty awesome. 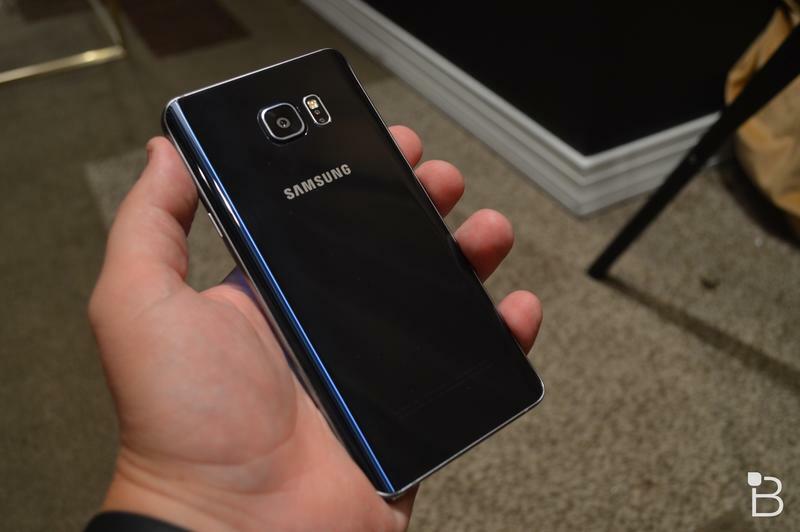 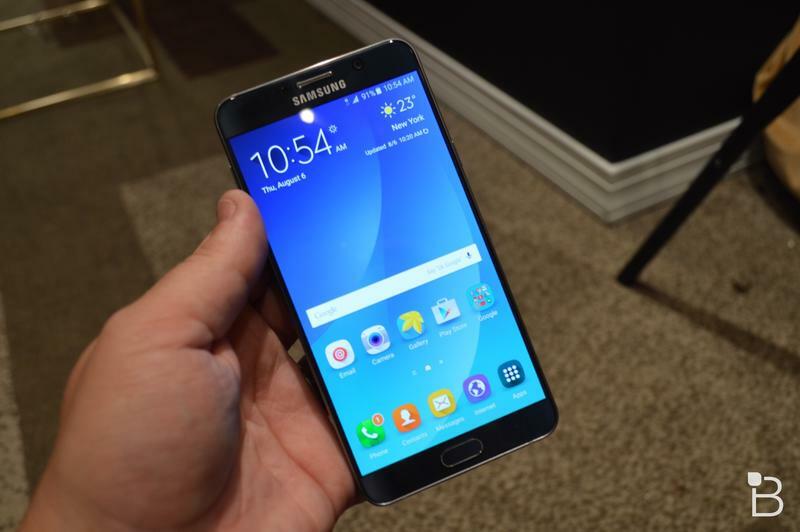 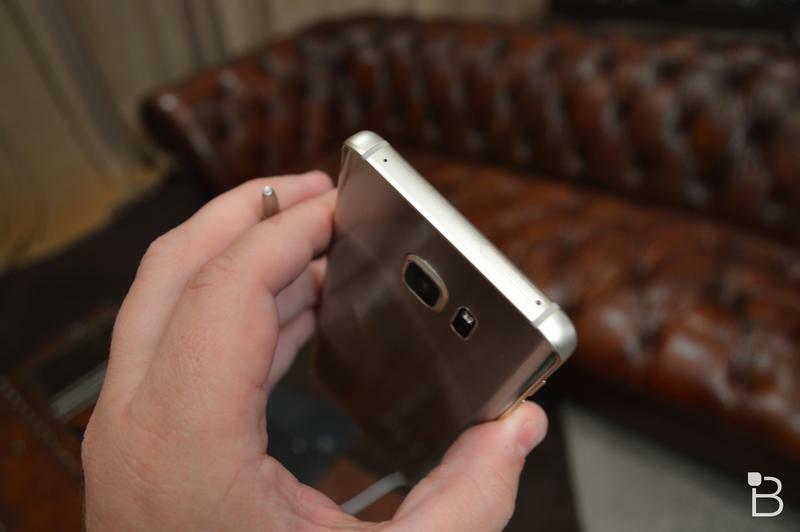 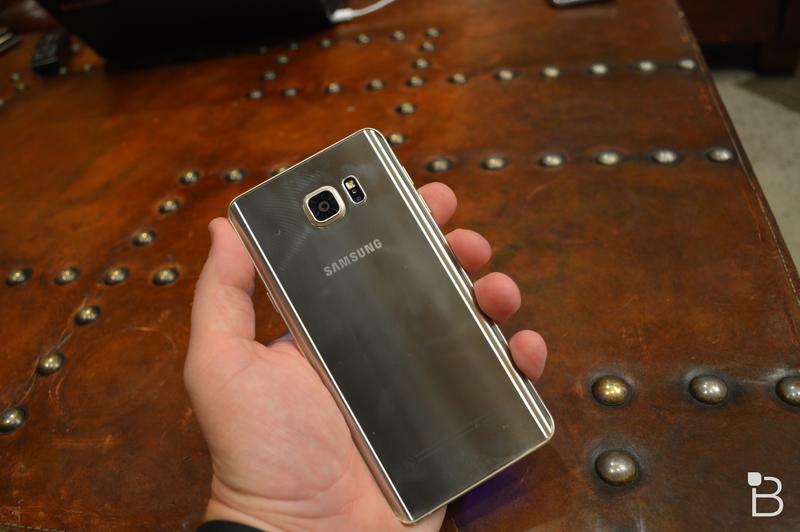 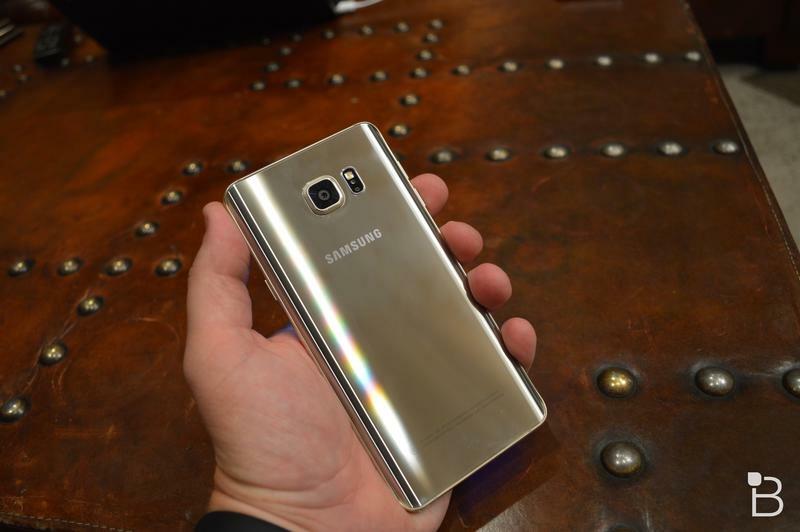 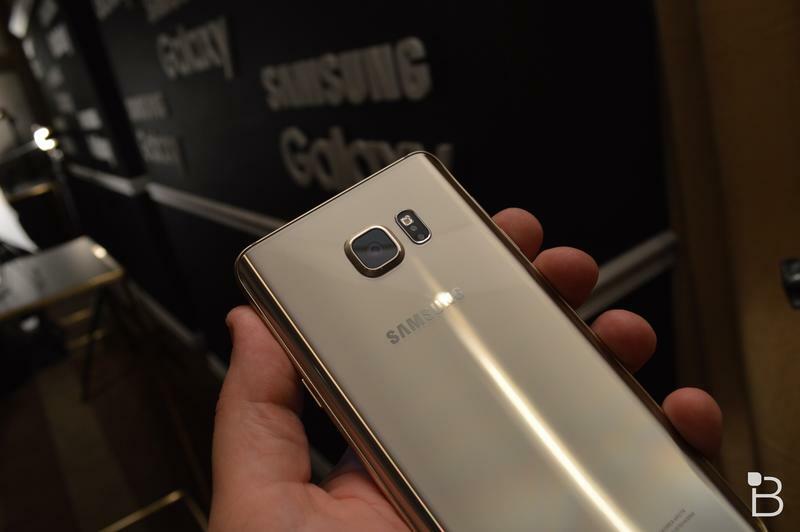 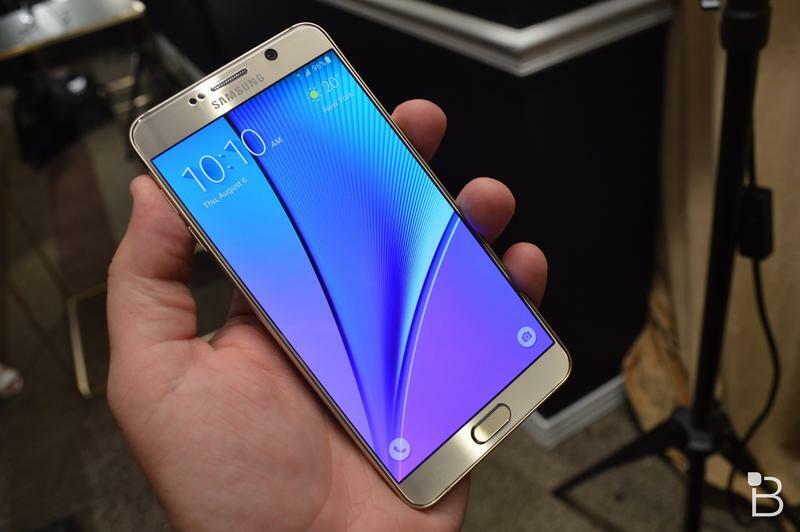 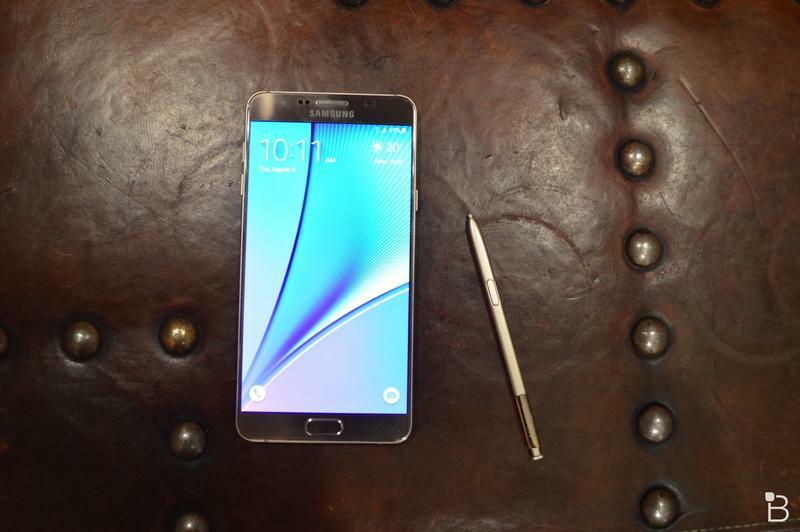 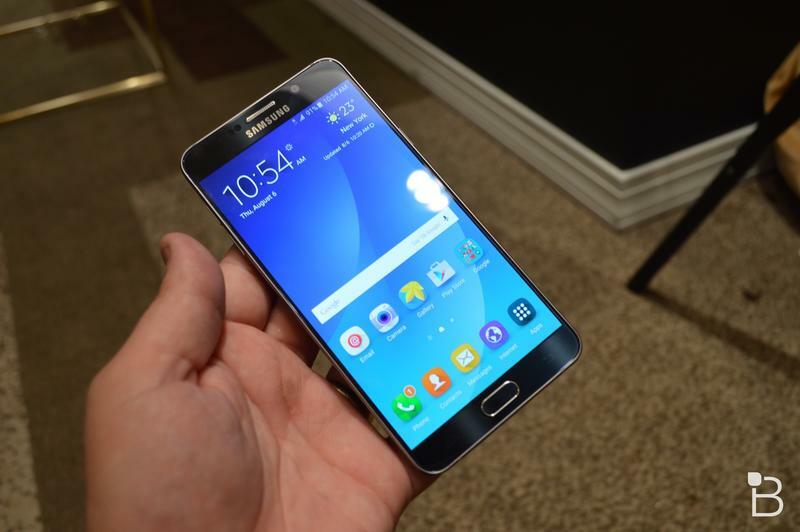 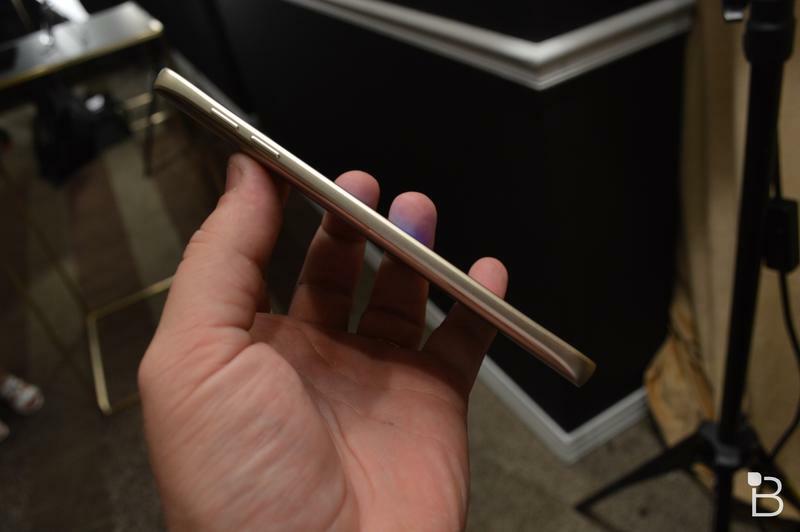 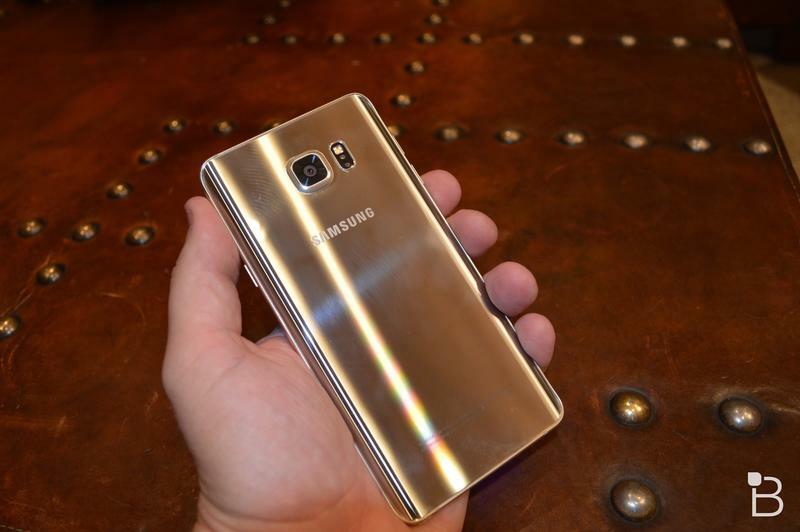 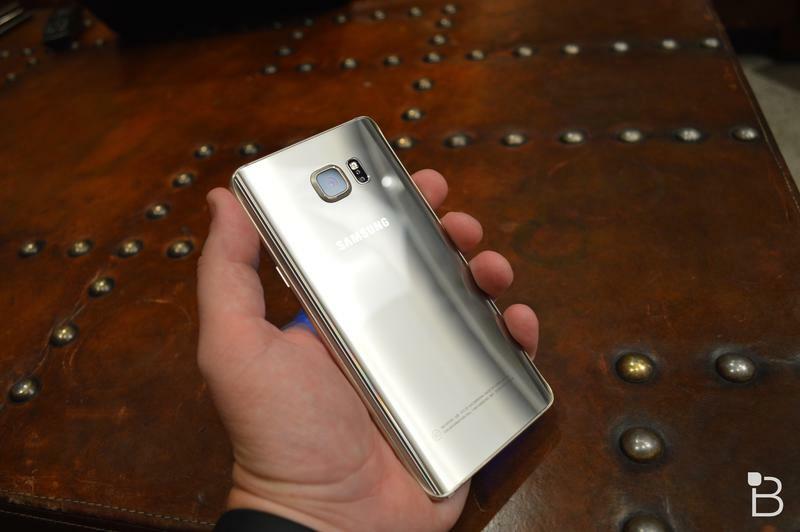 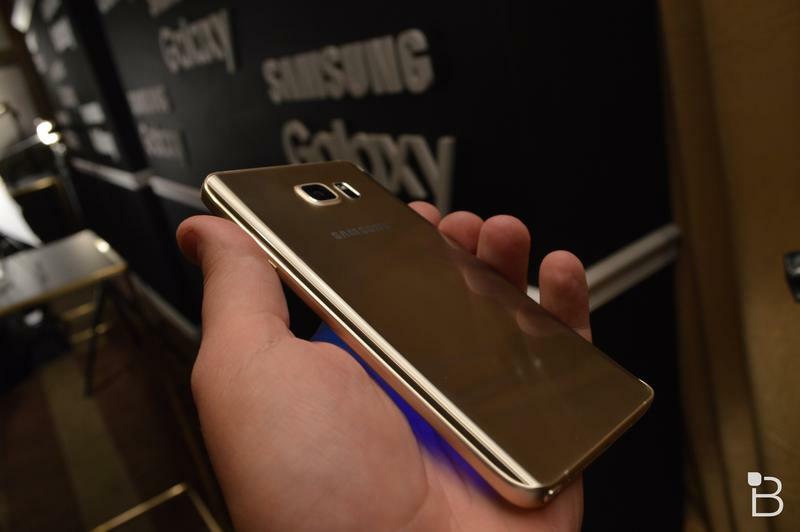 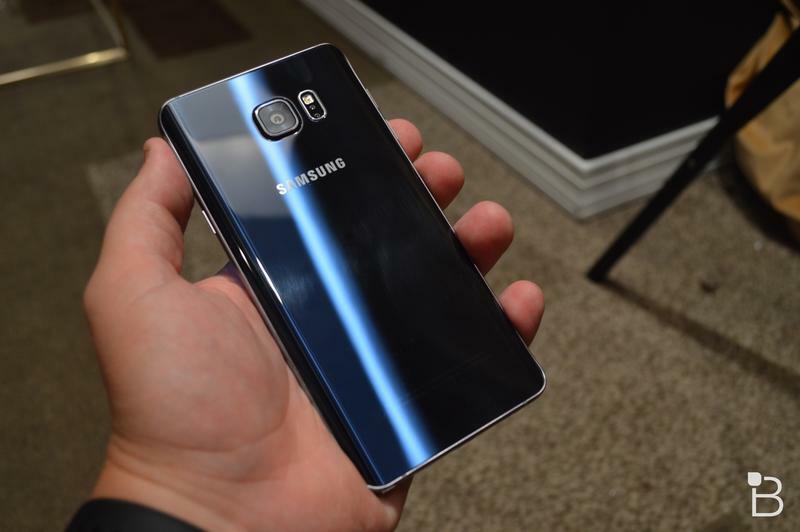 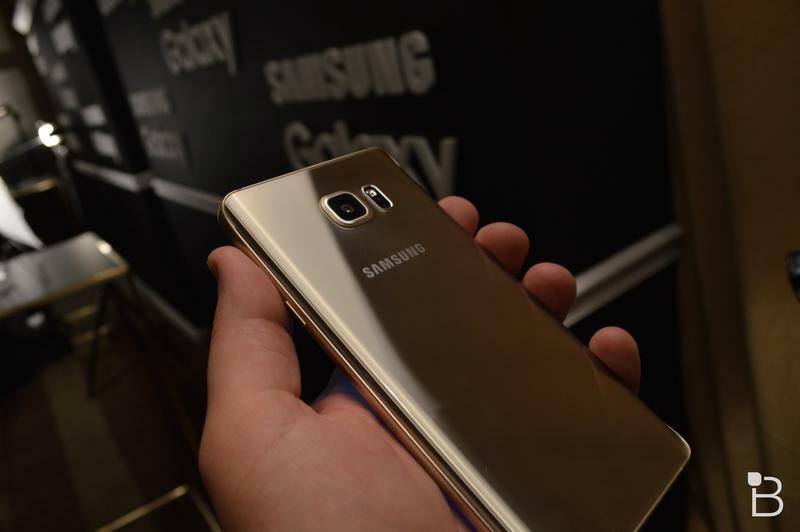 Take a closer look at the Galaxy Note 5 in our gallery and in the video above. 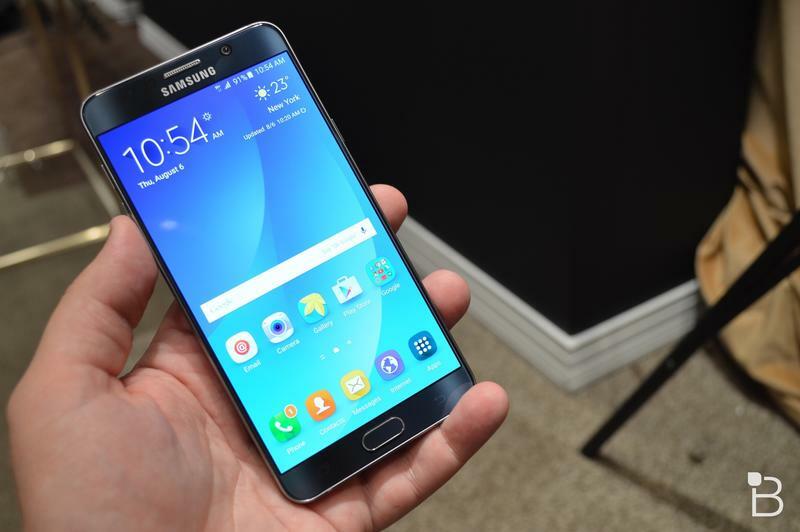 Look for it in stores around the globe — including AT&T, Verizon, T-Mobile, Sprint, and U.S. Cellular in the U.S. — on August 21.